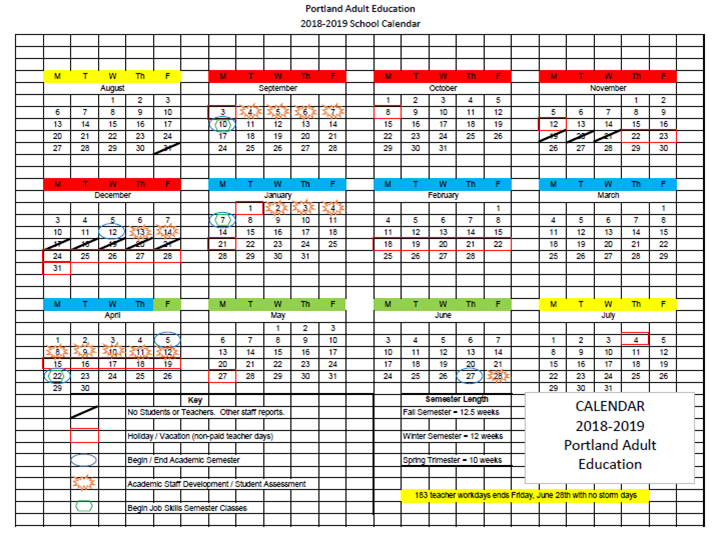 Portland Adult Education welcomes Anita St. Onge as its Interim Executive Director. St. Onge is an attorney with 15 years of practice and 15 years of experience managing over $11,000,00 in grant-funded projects at USM’s Muskie School. She has worked on problem solving and strategic planning with multiple mental health, social service, and legal organizations, including Maine Justice Action Group, the Immigrant Resource Center of Maine (formerly United Somali Women of Maine), National Child Welfare Resource Center for Organizational Improvement, Maine Attorney General, and Portland Police Department. She has also taught at the University of New England and University of Southern Maine. After recently working in Haiti, St. Onge also attended Boston Language Institute to study teaching English as a foreign language. 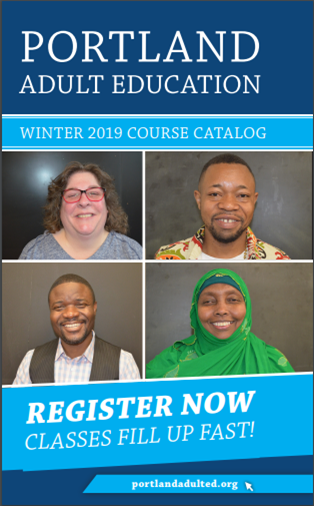 Her broad and deep prior experience supporting women, families, foster youth, and immigrants will enable her to guide Portland Adult Education in meeting the needs of more than 4,000 adult students. 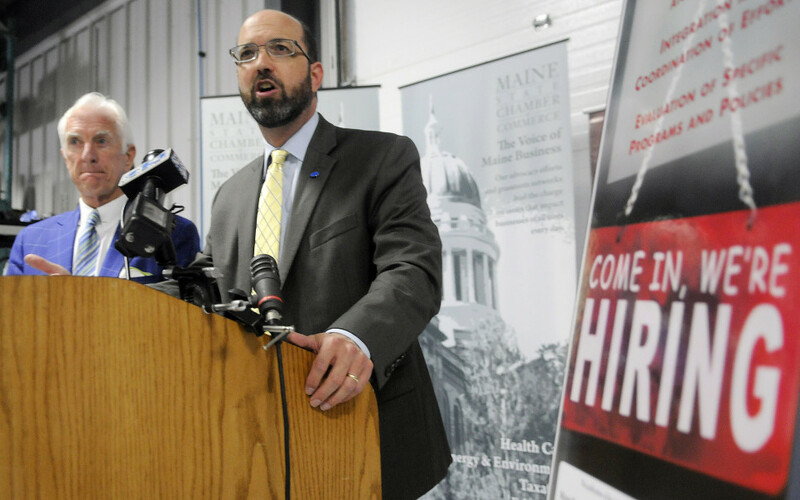 A new report from the Maine Development Foundation and state Chamber of Commerce says the economy will suffer if Maine fails to attract, integrate and train newcomers in a time of growing worker shortages.. When Sigco, a Westbrook metal and glass fabricating company, learned that it could find the workers it needed to grow in southern Maine’s immigrant communities, it had to develop its own pipeline to steer refugees, asylum seekers and other new Americans to its plant. 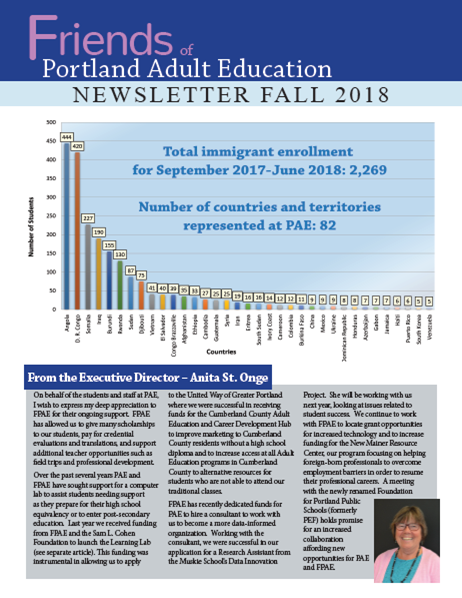 Cindy Caplice, the company’s human resources manager, said she developed contacts in Portland’s adult education system, where many of the immigrants were taking English classes. She spoke to students and teachers and learned insights that made the hiring process easier, from ascertaining the level of English proficiency of the immigrants – many of them from Africa and Vietnam – to knowing that most immigrants would need to learn to convert centimeters to inches to work in her shop. Caplice said the effort has been an unqualified success for her company at a time when Maine’s very low unemployment rate – 4.0 percent in August – makes it hard for many employers to find the workers they need. The company, with 273 employees, had about 20 vacancies last year at this time, she said. Now, there are two. “Employers have got to just figure out how to train people and how to find them and how to make it work,” she said. Caplice’s initiatives will need to be replicated by other businesses to address Maine’s increasingly tight labor pool, according to a report released Thursday by the Maine Development Foundation and the Maine State Chamber of Commerce. Earlier this year, Coastal Enterprises Inc. also issued a report on the importance of recruiting immigrants, and in August, a coalition of business and economic development leaders backed immigration reform as a way to address workforce shortages. The MDF/chamber report said the state’s aging population is creating a smaller workforce that already is restricting economic growth by making it hard for employers to fill vacant jobs. The two groups called for setting a statewide goal to attract more immigrants to Maine, and expanding efforts to help them integrate into society and the workplace. Immigrants are only a small fraction of Maine’s population: 3.5 percent of Mainers are foreign-born, according to a U.S. Census Bureau survey cited in the report, while 13.1 percent of the U.S. population is foreign-born. Dana Connors, president of the Maine state chamber, said the impact of immigrants on the economy will grow dramatically. He said 83 percent of the growth in the U.S. workforce between 2000 and 2050 will be immigrants and their children. “We need to make sure that we are tapping into this same pool of talent,” he said at a news conference in Augusta. Caplice said the lack of an established or obvious way to find immigrant workers shouldn’t preclude employers from making the effort. 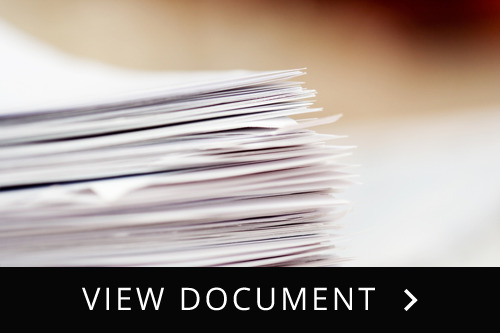 The report backs up that assertion. It noted that Maine’s labor force grew by 40 percent from 1980 to 2010, but is expected to decline in the future as more baby boomers retire and young people continue to leave the state. The state’s workforce is projected to drop from 696,000 in 2014 to 689,700 in 2024, the report states, exacerbating an already tight market for workers. 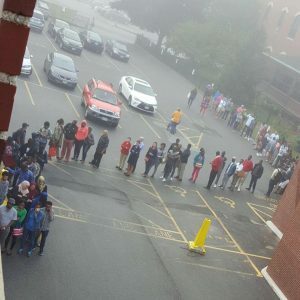 The two groups avoided assessing blame for the state’s failure to attract new residents, although some members of Maine’s immigrant community have complained recently that Gov. Paul LePage’s negative comments about asylum seekers and refugees are creating an unwelcoming atmosphere for immigrants. LePage said asylum seekers are “the biggest problem in the state” and are bringing diseases to Maine. He has proposed a review of “refugee-related” state programs,mocked a Chinese business executive’s name, and joked that having Indian and European workers in the state’s restaurants during the summer made ordering a meal difficult. LePage also is backing Republican presidential nominee Donald Trump, who has made tightening immigration procedures in response to terrorism fears a key feature of his campaign. LePage’s office did not respond to a request for comment Thursday. The governor has not spoken with the Press Herald since vowing Aug. 31 to never speak to the media again. Both Connors and Yellow Light Breen, president of the Maine Development Foundation, avoided directly criticizing LePage for his comments, but said they hope the divisive tone of immigration discussions in this political season will ease. The report’s focus on the need to find new workers, whether they’re immigrants or established Americans who move to Maine, should be enough of a message for politicians to get, Connors said. “We’re hoping our actions will speak as loud as our words,” he said. The report also noted that immigrants can provide a vital spark to an economy – for instance, they start businesses at twice the rate of native-born entrepreneurs and represent an important market domestically while providing connections to overseas markets. Some Maine-based organizations, such as the Bigelow Laboratory for Ocean Sciences, have successfully recruited internationally. The lab, which uses the assistance of an immigration lawyer, has 16 senior scientists on staff from five countries. In addition to setting a goal that “explicitly connects population growth to economic development,” the report calls for creating a group of business leaders to attract new Mainers, and says industry groups should look at addressing workforce issues related to the specific skills needed in their businesses. In addition, the report says that programs to assist immigrants and migrants to the state should be funded adequately, that efforts should be made to ensure new residents are engaged in the economy and workforce, and that efforts to provide English language training should be expanded. It also calls on the state to examine and possibly replicate programs that reverse population losses in other states and regions. Ryan Neale, a program director with MDF, pointed to Portland’s New Mainers Resource Center as an example that should be followed in other parts of the state. The program, created by the Legislature three years ago and run by Portland’s Adult Education program, offers a spectrum of services, from English language classes to programs to help those with advanced degrees from overseas institutions transfer their knowledge and experience to jobs in the U.S.
Neale said the need for new workers is so important that Maine’s outreach to immigrants has to span those with a higher education and those with fewer skills. “We can’t be that picky,” he said.